What is Ethanol and How is it Made? 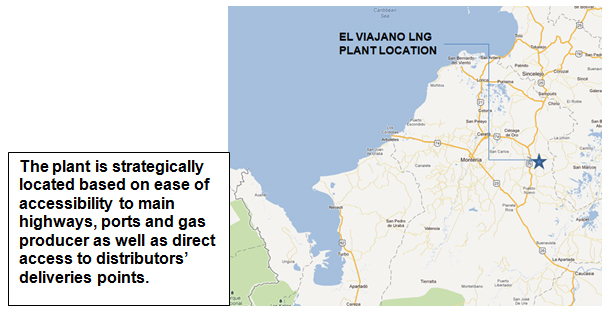 Located in “El Departamento de Cordoba” Colombia, this project encompasses the development of a 360,000 GPD LNG plant to supply the region of the Uraba Antioqueno (el eje Bananero), other regions of the Atlantic coast of Colombia which are away from the pipeline infrastructure as well as surrounding countries in Central America, South America and the Caribbean by means of Cryogenic ISO containers. 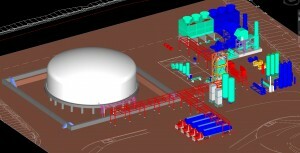 The LNG will be sold to the distributors who will sell it to the end users from a centralized regasification location. The distributors will purchase the LNG and a third party LNG transportation company (a Contract Carrier) will deliver it to the regasification stations at each client. The NG supply by the producer encompasses a 15 year “Take-or-Pay” contract providing 35 MMSFCD of which 30 MMSCFD will be utilized to produce the required 360,000 GPD and 5 MMSCFD will be utilized to generate the required electrical power utilizing Direct Drive Turbines configuration. The construction process has moved to the right, based on new plant configuration and additional NG requirement, from 2014-2015 to 2015-2017. The 360,000 GPD production will be accomplished under two Trains configuration of 180,000 GPD each (approximately 330 MT per Train). The LNG from Train 1 ha been committed under long-term contracts to serve distribution in Colombia and outside Colombia. The LNG for Train 2 is being negotiated under a 15 years TOP contract with an international LNG distributor for small electric power generation outside Colombia. Train 2 commissioning is expected 14 months after Train 1 commissioning. LNG (Liquefied Natural Gas) is Natural Gas (NG) in a cryogenic state in order to transport its energy equivalent 600 to 1. That is; 1 gallon of LNG is equivalent to 600 gallons of NG at atmospheric pressure. LNG is odorless, colorless, noncorrosive and nontoxic. Its composition is at minimum 97% methane at a constant basis making it extremely stable for combustion engines and turbines. LNG competes with Diesel, Gasoline, Propane (LPG) and Bunker Diesel in an economy of scale which is at least 20% savings to the final consumer and though to the supply chain. LNG characteristics are: A) Production of ½ particulate matter Vs Diesel, B) Reduces CO emissions, C) Reduction of Nitrogen Oxide and volatile organic hydrocarbon emissions by 50% or more, D) Reduction of CO2 by 25%, E) Drastic reduction in toxic and carcinogenic pollutants. Colombia enjoys its vast Natural Gas (NG) deposits and yet the country pays tremendous subsidies for other fossil fuels while having a NG pipeline infrastructure that reaches the main cities leaving the rest with the only option of CNG in bulk volumes and long distances. Natural gas (its source) is extremely abundant. As a matter of fact, Methane (CH4) is the most abundant compound on Earth. The method of liquefaction is inexpensive when compared to conventional fuels. A LNG plant is designed to last 30 to 40 years with an estimated energy consumption, per MMBTU of LNG produced, equivalent to 10% (based on NG price). Its bulk transport cost is efficient Vs the amount of energy being transported. Its competitive fuels are: Diesel, Gasoline, LPG, Bunker Diesel and Compressed Natural Gas (CNG). 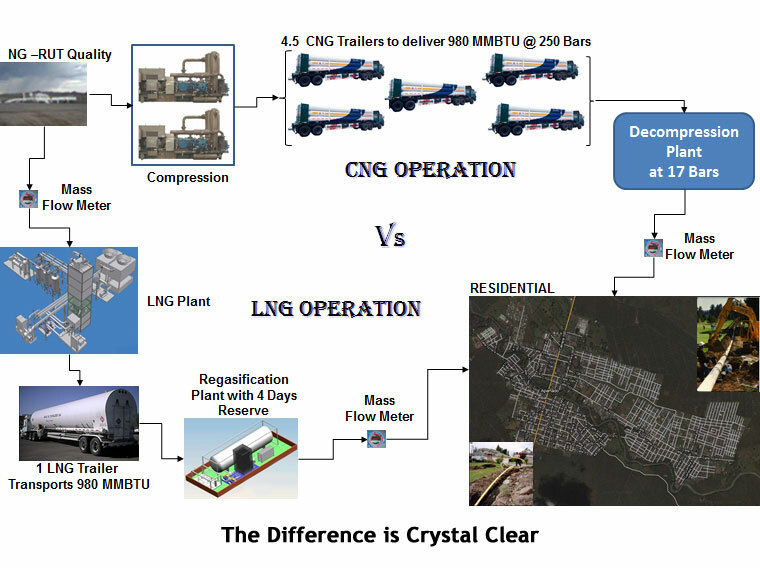 The below model is an actual representation of the comparison between a CNG operation from the compression (Mother) station, some 340 kms away, to the Daughter station Vs the same operation with LNG. The CNG operation has a complicated logistics due to the high volume of CNG required for the community. This operation does not take into consideration any storage requirement of a 4 day supply due to the high cost of transportation equipment. On the contrary, the LNG model shows a much more logistically sound and cost effective model in the sense that it provides the required LNG reserves as well as lower transportation costs. CNG is an excellent choice for short distances, low consumption volumes and small reserve quantities. In a nut shell, The El Viajano LNG project is a much needed project for Colombia allowing the remote regions to have a competitive alternative fuel at affordable prices while promoting growth and new technological advances for the Colombian people.